As we continue to process all that we experienced these past two weeks there is one theme continually comes to mind. It seems that regardless of what we hope to do or the goals we hope to accomplish the most important ministry we can offer will be the ministry of presence. 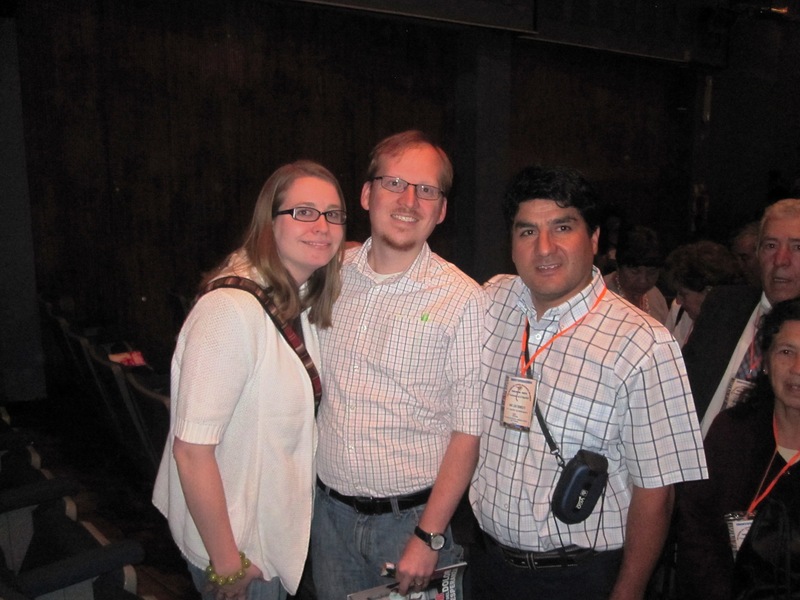 Bekah and I with the Chilean pastor who was so touched by our presence. There are three experiences from our recent trip that highlight this for me. 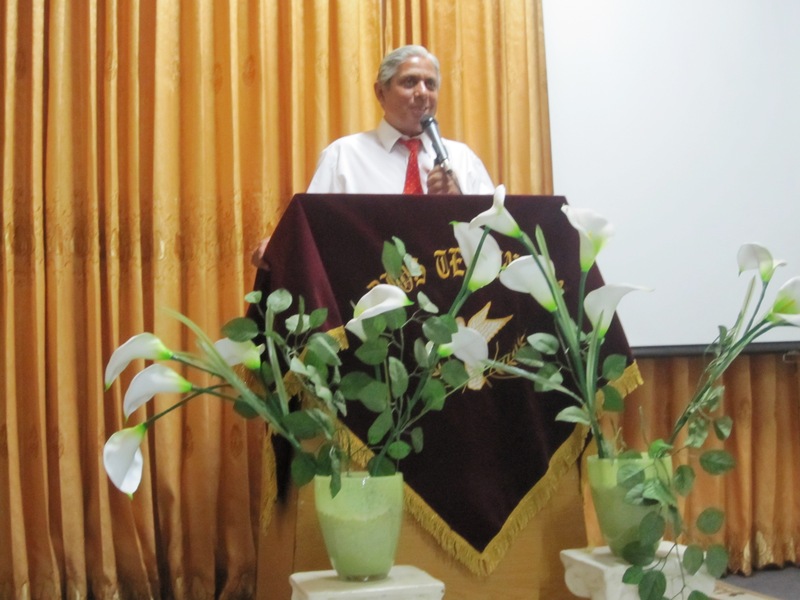 First comes from our time in Calama, Chile and the Baptist Union’s Assembly. After one of the services Bekah and I were sitting in our seats when a Pastor came up to us; with tears in his eyes he hugged each of us thanking us for our example, our willingness to come and serve in Chile. Later, on the last day of the meeting, this same pastor came up to us requesting that we take a picture with him. We never spoke in depth with him nor did we ever share a meal with him, but something about our presence deeply touched him in a way no one can explain. The second story is that of our stop at the police station on the way to visit Ticnamar. While we were sitting there with the police officer, sharing coffee with him and eating the fresh-made bread that he baked upon our arrival, he said something that struck me deeply: this was his ministry. He was so pleased to be able to take part in the work we would be doing among the Aymara by simply offering us a stop along the way, a place to rest and recharge (and eat of course!). We didn’t offer anything to him other than our presence, and that was ministry in and of itself. Marcelo speaking to the church in Arica about the new Aymara team consisting of himself, David, Luz, Bekah and me. The last story I think of is that of our entire time with Marcelo. Over and over again he lamented how all missionaries always went to the south of the country, leaving northern Chile largely neglected. He spoke of how he originally responded to the idea of a US couple coming to help him in his ministry; he would love it but who in the world would want to do that? They would have to be crazy! He would then tell us about how ever since he first came to the area he would pray that God would send someone, a team to share in the work. This history coupled with the many times Marcelo would tear up while praying over our new team, whether at the church in Arica or at the assembly in Calama, reminds me once again of how powerful the ministry of presence is. Obviously this doesn’t mean that all we are going to do when we get to Chile is sit around and eat with people, ministering through presence, but it is a needed reminder of how much simply being with people matters. As North Americans, we can so easily fall into the trap that tells us that our success is measured by what we do, how much we accomplish, or what we get done. Perhaps the best measurement of success isn’t statistics or numbers, but the personal relationships we’ve cultivated with others. There aren’t many instances that I can think of in the New Testament where numbers and statistics take priority. There are, however, a lot of stories of people being transformed by Jesus because he took the time to be present with those the world had completely forgotten about. I like this post, Blake.